This is our monthly newsletter. 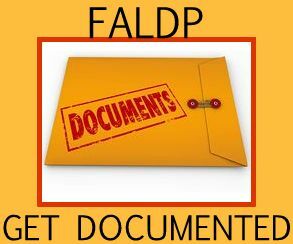 We publish this for the benefit of FALDP members, legal document preparers, and friends. Join FALDP during January and pay only $37.50 for membership. Our new mandatory course - “Avoid UPL!) is only $29.00. $66.50 for both. Referrals When consumers call in we refer them to participating Members. We have no way of knowing how many referrals a member may receive. The best way to ensure you'll receive referrals to to make sure the information on the Member Directory is clear and current. For call in consumers we may suggest that the consumer call 2-3 members. When consumers send us a message through one of the many forms on our site, we forward the inquiry directly to a single member. Credibility Our logo is recognized throughout Florida. Consumers can easily learn more about FALDP members by researching the member on our site, or calling us for more information. Through our new FALDP Certification program, consumers will easily be able to see which members have taken the extra steps to become FALDP Certified. Exposure Members place their business information in three counties in our Membership Directory - their home county where the Premium Member badge is displayed with their listing; and two additional (usually adjacent) counties. Members are also entitled to their own Mini-Page on our site where members can display additional information about their business, including graphics, photos, logos, and more. 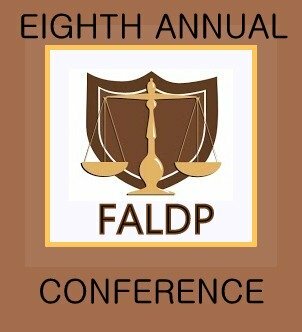 We have scheduled our 8th Annual FALDP Conference for Saturday, May 5, 2018. The conference will be held at the Fountain Beach Resort in Daytona Beach. Our agenda and guest speakers will be substantially the same - a representative from the non-profit lender that we refer to, and David Ayala who will be speaking to us about criminal justice reform, second chance workshops, and the voting rights referendum going on right now.. The $95 conference fee is the same, and if you did not previously register for the conference, we will offer the same combination of conference fee and membership/ renewal fee as we usually do. . Accommodations at the Fountain Beach Resort for conference attendees are $89. per night. We encourage you to register for the conference and make your reservations early. The discount code for accommodations will be provided to you once you register for the conference. Although there is no public event that weekend (besides our conference), spring in general is busier than the fall.So, make your plans and register early. For those of you who registered for the conference in September, and did not request a refund - your membership renewal fee will be waived. You know who you are - and so do we and we appreciate you. WHAT - The specific "what" we do is prepare documents, explain procedure, and provide legal information to Florida pro se litigants. But, we do far more. CAN - We CAN do much more than prepare documents, explain procedure, and provide legal information. We can change people's lives in positive ways. We help people move on with their lives. A bankruptcy petition lets someone start over with a blank financial slate - debt free. A divorce helps people end a relationship gone sour. And immigration documents help people breathe easier, knowing that they are on the right path. WE - We are nonlawyer document preparers helping people solve their life problems by providing the prepared documents, legal information, and explanation of court and government procedures that consumers are desperate to know. DO - We DO all these things, all day everyday, making Florida a better place to live. The fact that we don't and cannot provide legal advice or representation is not a hindrance to the positive things that we do.
? - What Can We Do? What else can we bring and provide that will assist Florida residents, pro se litigants, and consumers move on with their lives? Join us at the conference - we'll talk about it. No one begins a marriage or relationship planning for it to end. The fact is that some marriages and some relationships don't last. Depending on the length of the marriage or relationship, the couple's lives may be deeply intertwined. Untangling the many aspects of any relationship takes forethought and careful consideration. When there are children of the marriage or relationship the requirement to think and plan ahead is even more important. The lives that a couple brought into this world should not be permanently damaged because their parents could not continue in the relationship. FALDP is in the process of developing a consumer course that will help people who are at the beginning stages of a break-up or contemplating a break-up. Our course is designed to help people sort through the debris to focus on the truly important and productive aspects of what their new life could look like. This course is not one on one coaching. This course is also not document preparation. And, this course is definitely NOT legal advice or representation. There is absolutely no obligation to purchase anything else after completing the course. After the course is completed students will be referred to a FALDP member document preparer for document preparation, or one of our referral partners who has agreed to provide life coaching, divorce doula, or mediation services to our online students. We are adding an entirely new course rather than updating our Intro Course. Our Intro Course is fine as far as it goes, the New UPL Course will be mandatory, and the Intro Course will remain substantially the same. New mandatory UPL compliance course coming in January 2018. For the first time we are requiring members to complete a compliance course about the unauthorized practice of law (UPL). Despite our best efforts at distributing information about UPL and how to avoid it, we find that members need better and more specific information. We have never tried to set ourselves up as the “UPL Police” and have no intention of doing so now. Rather we seek to insure that all members have all the information that we have regarding UPL. We found that our course, “Introduction to Preparing Florida Legal Documents”, doesn't go far enough in explaining the vagaries of UPL. So we removed some of the UPL information from the Intro Course and added it to the New UPL Course. CORRECTION REGARDING PRICING: Beginning January 2018, new members are required to take the New UPL Course - “Avoid UPL!” upon joining FALDP. The course fee is $29. All existing members are required to complete the course prior to membership renewal. The course fee is also $29 for current members, but there will be opportunities throughout the year and before the renewal period to take the “Avoid UPL!” course for free. We lowered the price of the course, and decided it was most fair that everyone pays the same for the course. In addition, the course will be required every year, but as with all of our courses, once you've taken the course, you can always return to it at no charge. So all members will pay for the course once (or take the course for free as a special offer) , but take the course every year. We intend to add new content regularly. We believe that it is worthwhile to emphasize the ongoing issue of compliance with the rules surrounding the unauthorized practice of law. It is far too easy for a document preparer to unknowingly step over the line into unauthorized practice. Vigilance always. We need more experienced document preparers to participate in our Get Documented Initiative. We call participating members our “I-Team”. If you applied before, but did not have enough experience preparing immigration documents, please apply again. 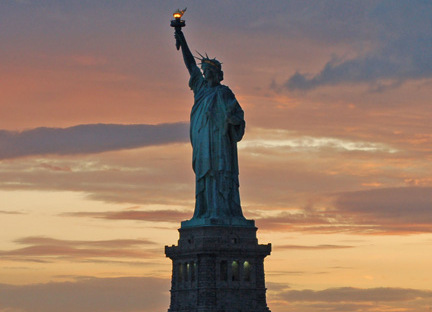 You may now have completed enough sets of immigration documents to be able to participate. Our participating document preparers are dedicated to helping consumers work through the immigration process. And, all of our participating document preparers immigrated to the United States from another country or have close family members who did. They know about the process personally and first hand, and are committed to helping others jump through the hoops and clear the hurdles. I-Team members can refer consumers to a non-profit lender who may be able to offer the consumer a low interest loan for immigration purposes. The loan amounts available are $700. up to $20,000. Please submit your application through the Members Only area. nar·cis·sism - extreme selfishness, with a grandiose view of one's own talents and a craving for admiration, as characterizing a personality type. At some point, most of us have a run in with a narcissistic person. If we had realized in advance who we were dealing with, it may have saved a lot of heartache and pain. Sometimes we encounter these personalities in our private lives, and other times they come into our work lives. Either way, handling them or avoiding them takes practice and finesse. Narcissists are characterized as being self-centered, self-absorbed, conceited, vain, and entitled. There seem to be groups of people, age groups, demographics, who do not believe in working hard, rather they believe that the world owes them something. We often single out millennials as generally entitled and narcissistic – but is it true? I suggest that each generation has their share of narcissists and we should be wary of painting a generation with a broad brush. The following is a list of traits that characterize narcissism. Believes that he or she is "special" and unique and can only be understood by, or should associate with, other special or high-status people (or institutions). Lacks empathy: is unwilling [or, I would add, unable] to recognize or identify with the feelings and needs of others. Shows arrogant, haughty [rude and abusive] behaviors or attitudes. Can be inordinately self-righteous and defensive. React to contrary viewpoints with anger or rage. Project onto others qualities, traits, and behaviors they can’t—or won’t—accept in themselves. After researching this article, I wondered whether … maybe it was me. So I took an online narcissism test to find out. Give it a go.